The 2 letter code is a country code ex. TH for Thailand. IPPC (International Plant Protection Convention: IPPC) is a 1951 multilateral treaty overseen by the Food and Agriculture Organization that aims to secure coordinated, effective action to prevent and to control the introduction and spread of pests of plants and plant products. If the packages have not been treated with MB or HT and stamp with IPPC stamp, the packages might be returned back to origin country or have to be done at arrival port at a very very high rate. Our main service is to provide import service from China to Thailand via air, sea and truck service from main shopping area ex. Guangzhou, Shenzhen, Yiwu, Shanghai, Ningbo, Tianjin, Xieman and Foshan. It is specially for import under big lot shipment, full container. It would be done under importer name themselves, all import paperwork will be under actual importer. Same importer need to register E paperless with customs. The export of antiques or Buddha images from Thailand. 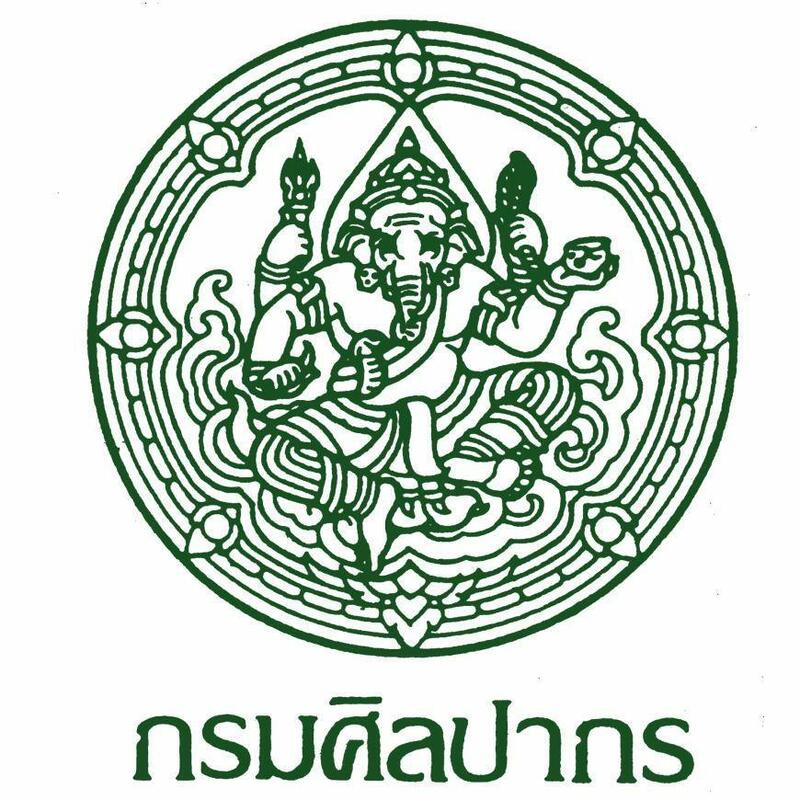 The laws and regulations governing the customs clearance of passengers entering and leaving Thailand via Arakan Port are subject to certain restrictions imposed by the law. And export to the Kingdom. Import and export of the required must be licensed as a book. From the relevant government agencies. This must be shown at the time of the customs clearance. The limitation of some types of import control laws. And export to the Kingdom. Import and export of the required must be licensed as a book. From the relevant government agencies. This must be shown at the time of the customs clearance. * The Buddha statue antiques by the Fine Arts Department. We have a service every step if the customer wants to send the Buddha statue antiques out of foreign countries. Only customers tell us. Only you can export the object or the Buddha from Thailand right. C / O certificates of various types are both taxable and non-deductible, but are required to issue a certificate. The Certificate of Origin (CO) is a document issued by a competent authority as specified in each of the agreements of the exporting producer country (s) as proof of origin of the goods. Member States, exporters (manufacturers), which will be used as evidence to obtain customs privileges in importing member countries. In the current world trade situation, which has changed dramatically. Trade atmosphere is more likely to lead to a more free trade system. Countries have improved their trade patterns and implemented non-tariff barriers to protect their interests, such as phytosanitary measures. 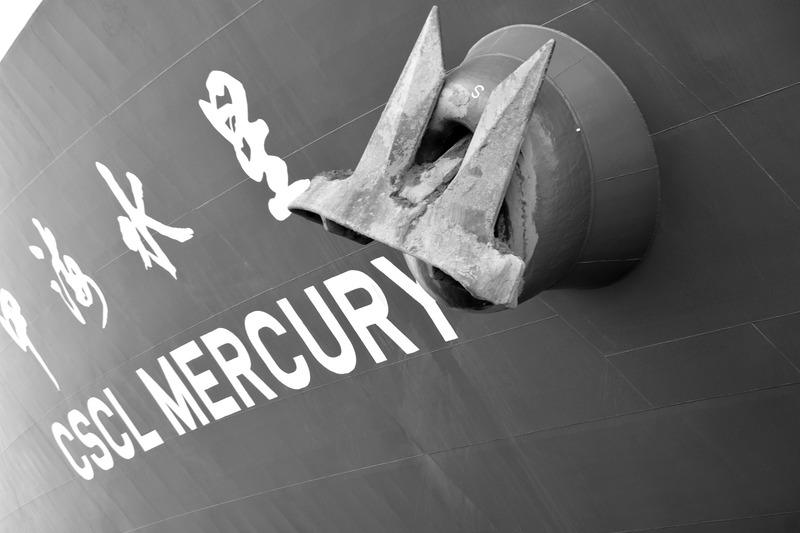 Anti-dumping measures And subsidies There are so many international trade issues. Proof of responsibility Or dispute settlement It is a must. And one of the tools to help identify the person responsible is the "Certificate of Origin" because it is a certificate that shows the origin of the product. In addition, the Certificate of Origin It is also useful to obtain special tariff privileges. From the countries of the exclusive provider. It can be used as a tool to expand the market. And the bargaining power is another way. Certificate of Origin is divided into two types. Certificate of Origin with the privilege of customs duty is the certificate of origin. Issued to exporters. To certify that the goods specified in the certificate. Manufactured according to the rules. Origin and conditions under the preferential regime of the country. They will be eligible for the exemption or reduction of import tax of the beneficiary countries. A certificate Issued to exporters. To apply for the privilege under the agreement. The Common Effective Preferential Tariff (CEPT) for ASEAN Free Trade Area (AFTA) is Indonesia, Malaysia, the Philippines, Singapore, Thailand, Brunei, Vietnam, Laos, Myanmar and Cambodia. A certificate To issue to exporters for the use of the privilege. Algeria, Angola, Argentina, Bangladesh, Benin, Bolivia, Brazil, Cameroon, Chile, Colombia, Cuba, South Korea, Ecuador, Ghana, Guyana and Guyana. Haiti, India, Indonesia, Iran, Iraq, Libya, Malaysia, Mexico, Moroco, Mozambique, Nicaragua, Nigeria, Papua New Guinea None Location Peru, Philippines, Qatar, Republic of Korea, Romania, Singapore, Sri Lanka, Sudan, Tanzania, Thailand, Trinidad and Tobago, Tunisia, Uruguay, Venezuela, Vietnam, Western Yugoslavia, Zaire and Zimbabwe. A certificate Issued to exporters. For handicrafts as set out in the EU's preferential trade regime This will be tax exempt. A certificate Exporters of handmade silk and handwoven products in accordance with EU trade preferences. This will be tax exempt. The European Union is likely to impose "imported" labels on imported goods, particularly textiles, clothing, leather goods, furniture, shoes and ceramics. Since the European Union currently has no origin marking ) For industrial goods. Moreover, some Member States have enforced such measures. But not the same standard. This may mislead consumers. It may also have an impact on the domestic industry if it is forged in origin from third countries. The European Union is in the process of drafting regulations. The definition of country of origin is defined. This is expected to be based on rules of origin that are not subject to the European Union's preferential regime. How much is import tax paid? 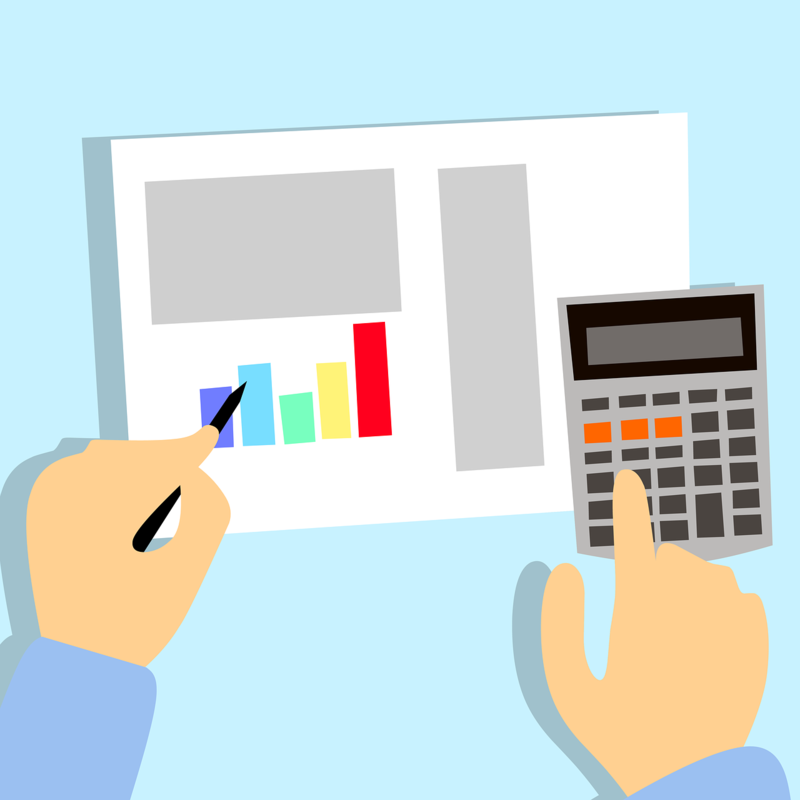 Inno Cargo's customers are wondering how much they have to pay import taxes, so it's very important to consider the impact of import taxes. In addition to shipping costs across the country. Almost all imported import taxes are subject to tax imposed by the governments of the destination country. To create revenue, protect local industries from foreign competition, or both. • Benefits of the product. • Harmonic Code (HS) of the product. The destination customs officer will determine the import duty at the specified value and the description provided in the invoice delivered from the source. To collect with the recipient at the destination. Therefore, the exporter must pay more attention to the type of goods and the value in the Perfoma Invoice because it directly affects the import tax at the destination. 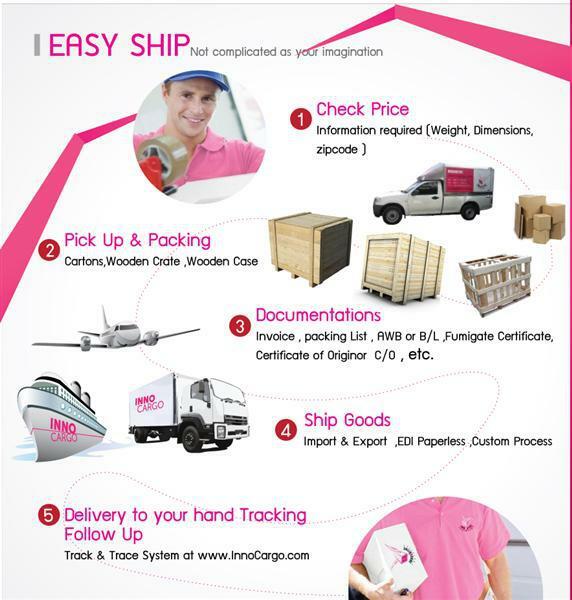 We take care the shipment until it arrives at destination agreed airport. Then customer/broker need to clear the shipment at airport themselves. Destination charges is a little bit high cost, so make sure your volume is big enough to send via this service. If not, door to door courier service should be the best solution. Volume weight: width x length x height (cms) / 6000. We use only strong cardboard box with 5 layers to make sure it could support the goods weight. Also when we pack, we will pack to waste less space as possible for both safety and cost saving. Not suggest to pack weight over 70 kgs per carton/weight as it might be broken. 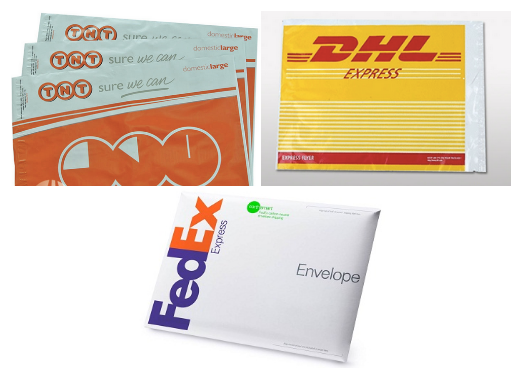 Plastic Bunding, Fragile sticker, Up/Down sticker could be of your help to some extent. In case of weight over 70 kgs, suggest to pack as pallet to save cost and easy unpacking. There are both standard pallet (100x120 cms or 100x100 cms) and tailor made pallets to exactly fit the goods. 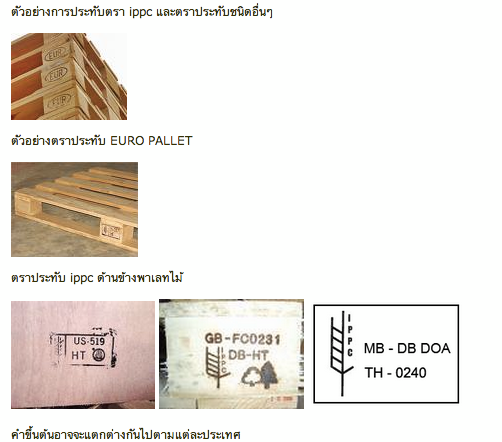 Need to put the goods on pallet same as “Brick construction” for strong packing. We will wrap again with Plastic sheet/film and bunding one more time on top. This will ensure supreme safety of goods. As general practice, heavy weight-non fragile items at the bottom and light weight fragile items on tops. 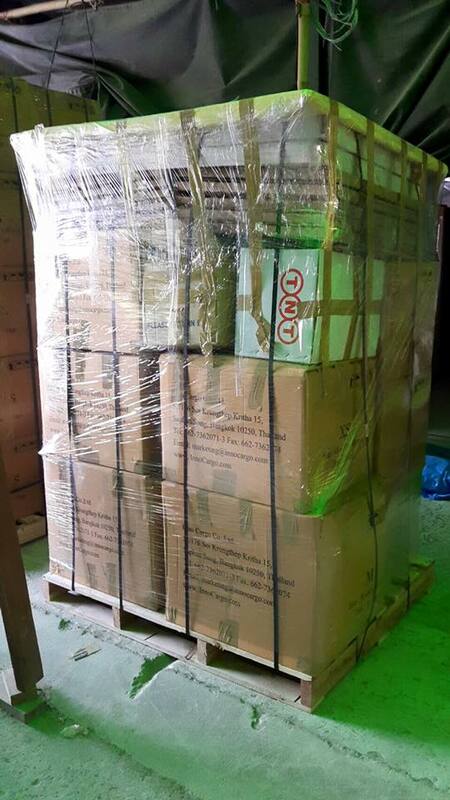 Pallet packing is best in term of goods movement and unpacking. 1. 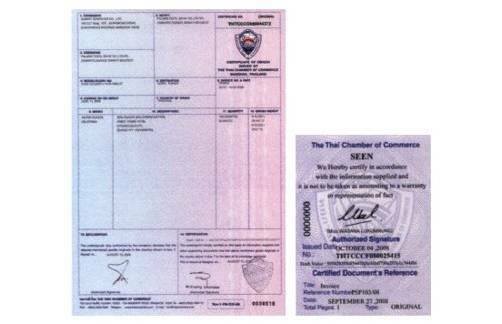 Description of goods: document or parcel, to check if any export license or special certificate needed. 4. Pick up address in Bangkok. To confirm if any extra pick up charges in case of far way from our location and to estimate pick up time duration. 5. Mode of transport (air or sea)To make sure goods arrival in time before deadline.